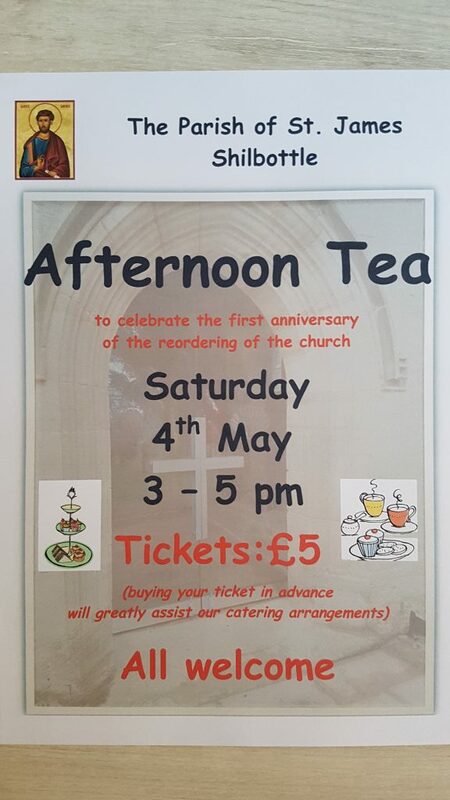 There will be an Afternoon Tea in church on Saturday 4th May at 3 pm to celebrate the first anniversary of the reordering of the church. Tickets are now available at £5. Do come and enjoy a pleasant afternoon over a cuppa, delicious sandwiches and cakes.